Friendship seems to have become a lost art. As we focus more and more on our careers and what’s next in life, our friendships are usually the first things to fall by the wayside. Cultivating strong friendships is important, especially because they can strengthen us during times of weakness and reinforce our relationship with Christ. While having Orthodox friendships is certainly important, most of our friendships are with people quite different from us. As Orthodox in this country, nearly all of our neighbors and coworkers (who we’re around most of the time) are either from a different faith, or disconnected from faith all together. In my experience, there’s so much we can learn about ourselves and the world when we make friends with people who are different than us. Scripture itself gives us this lesson through an unlikely pair of friends from the Old Testament: Ruth and Naomi. And wherever you lodge I will lodge. If anything but death parts you and me. (Ruth 1: 16-17). It’s a story of loss and redemption. It’s a story of devoted friendship, borne out of differences rather than commonalities. Here are three lessons we learn from Ruth and Naomi that can help us in our friendships with people different from us. Fear plays a big role in keeping people apart. Differences in class, race, culture, and religion so often keep people from getting to know one another. Stereotypes and misconceptions keep us so bound by fear that we don’t get to know the “other”. So the first thing that Ruth and Naomi can teach us is to not be afraid of getting to know people different from us. Not only was Ruth a foreigner, but her people (the Moabites) were considered to be enemies of the Israelites. For Naomi to allow her sons to marry Moabite women, she must have learned how to make peace with the differences between them. But that would have started by getting to know them. And after her husband died, Ruth chose to not let their differences in culture get in the way of being there for Naomi. Both women chose to leave their fear behind, which opened them up to approaching others, not defensively, but with humility. 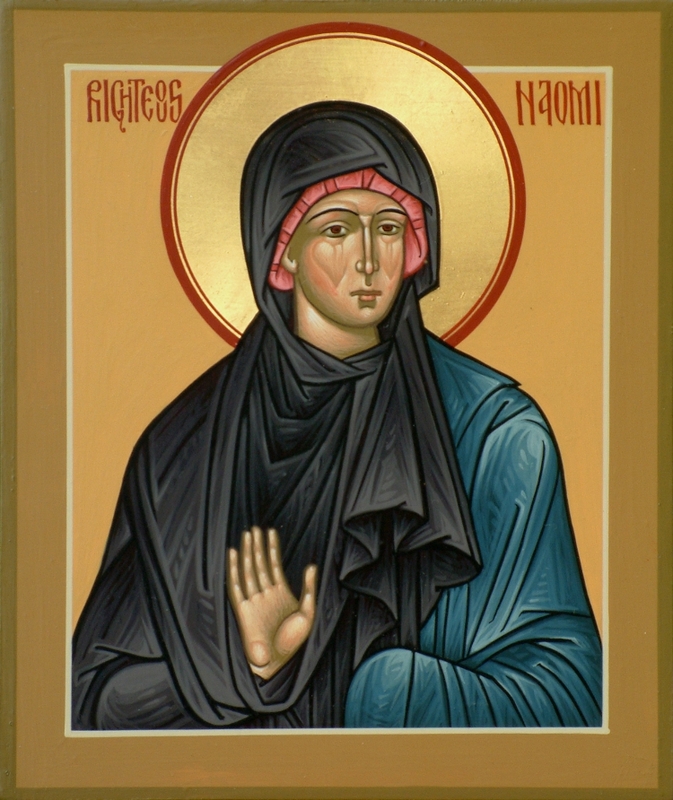 The relationship between Ruth and Naomi was formed out of their mutual humility and vulnerability. Naomi was humbled by having to go to the land of her enemies in search for food. Ruth chose to search for food from the fields in Bethlehem to support Naomi. Both of them experienced being a foreigner in an unknown land, but they also experienced the benefits of friendship borne from that humility. When we seek out friendships with people who are different from us, it is an act of humility because it takes us out of our comfort zone. It creates an opportunity to reach out and to discover another person based on what they value. It leads us to ask about another person and allows us to get to know ourselves in the process. As we better understand our differences, we can better learn who we ourselves are. At the same time, our eyes can open to see what we have in common, too. And friendships, which take work to start and nurture, are the result of effort and commitment. Friendship is different from family in that it is freely chosen. Yet sometimes we view friendship as relatively unimportant because, while freely chosen, it usually lacks serious commitment. The story of Ruth and Naomi challenges us with a higher image: one of lasting, committed friendship. Ruth was free of her duty to Naomi when her husband died, yet she chose to stay with her mother-in-law. Ruth tells Naomi, "Where you go I will go, and where you lodge I will lodge. Your people shall be my people, and your God my God. Where you die I will die, and there will I be buried" (Ruth 1: 16-17). In other words, she’s in this friendship for good. She’s committed. And the blessings that are borne from commitment to our friendships have the potential to run over into our other relationships as well. Ruth took the harder road and went back with Naomi to a land she didn’t know. And because Ruth went back, she met Boaz. So their commitment to friendship led to something quite unexpected: Ruth and Boaz became the great-grandparents of King David and the ancestors of Jesus. Commitment makes possible the richness that two people experience in a friendship that has lasted a while. And though friendships can be hard sometimes, if we treat them lightly, or give up on them too easily, we miss out on the joys that can come out of commitment. Ruth and Naomi present us with a new way of looking at friendship. They let go of their fears and humbled themselves, which made their friendship possible. Their commitment to their friendship made possible not only the redemption of their lives, but also of the Israelites through David, and of the whole world through Jesus Christ. Do you let fear keep you away from getting to know others around you? How can humility open up a door to better encounter your friends? And are you as committed to your friends as Ruth was to Naomi?